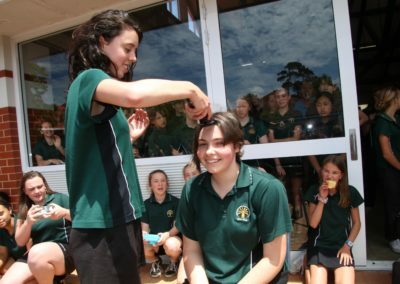 Hannah Toole, a Year 9 students, has participated in the World’s Greatest Shave, a fundraising initiative by the Leukaemia Foundation. She signed up with the foundation and had organised a shaving date for Friday, 16 November 2018. 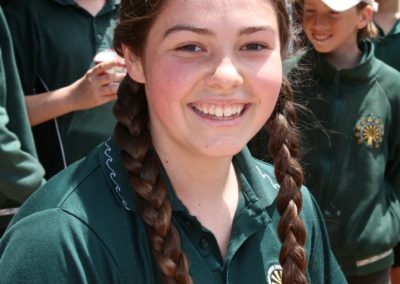 Hannah’s mother said that the initiative came all from Hannah, and that she was so proud of her daughter. 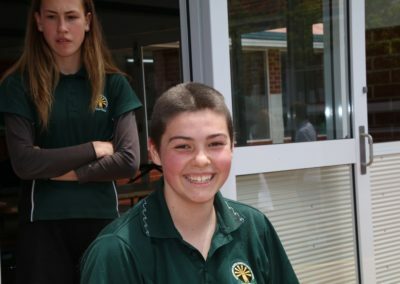 Hannah had organised a bake stall and a donation box at the school prior to the shave. She tries to reach a target of $700. At school, she sold tickets with the prize winners having the right to cut off her long, beautiful hair. 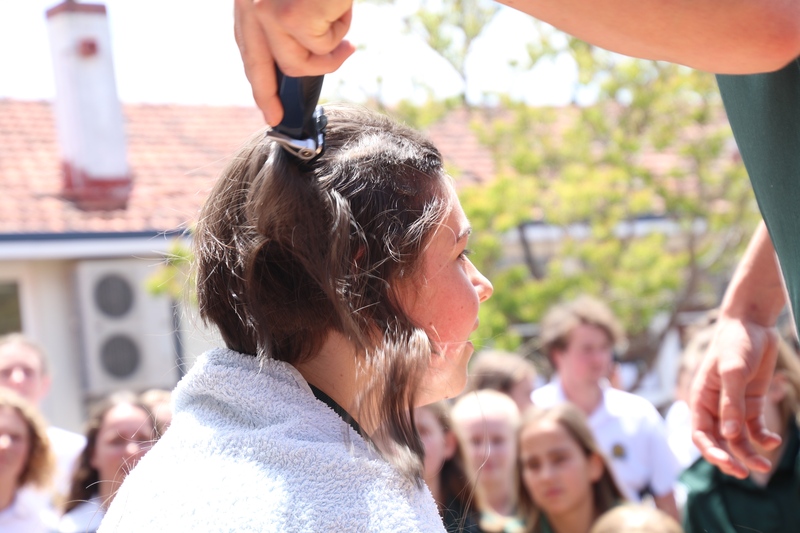 On Friday during recess, a large crowd gathered in the centre of the school to watch first Hannah’s two plats being cut off to a loud cheer, then her head being shaved by a variety of students. She raised over $200 during recess, with teachers and students donating between 5 cents and $50. 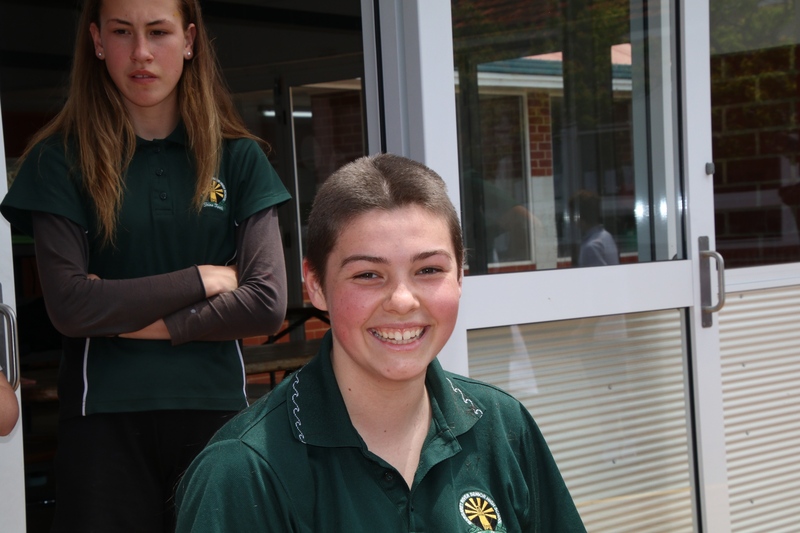 Hannah is very please with her new look and very happy with the fundraising effort. 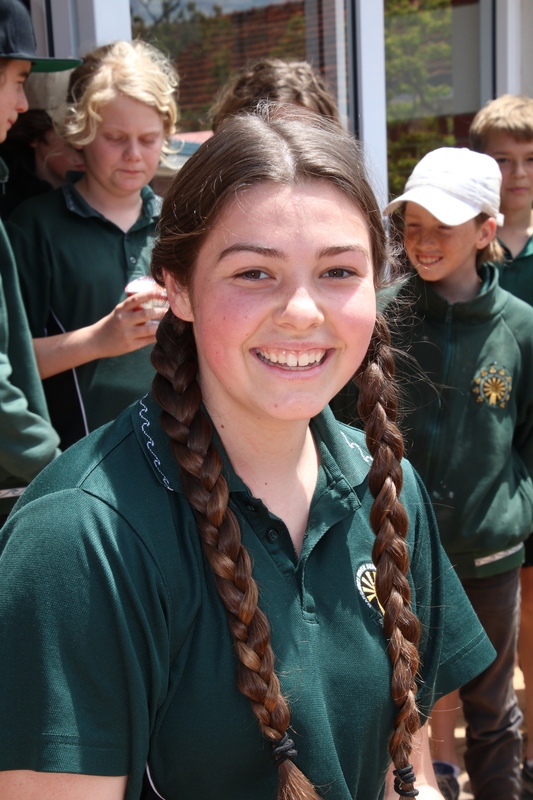 People can still donate via the Leukaemia Foundation website (Sponsor: Hannah Toole).